Finally designed! 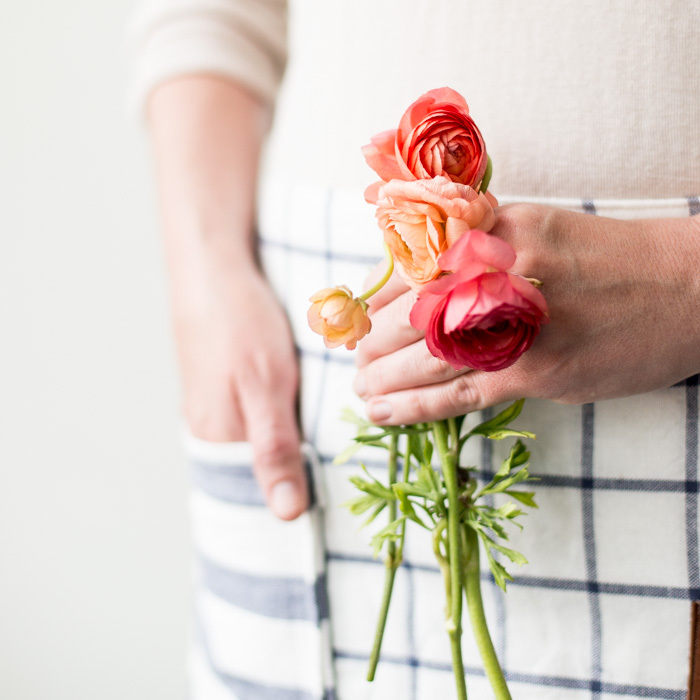 The best (and cutest) dishtowel utility apron pattern PDF you can find! If you’ve ever taken a class with me, you know that I cannot hang on to my scissors to save my life, or my tape measure, or pens, or pencils or cable needles, or crochet hooks. Yes, the list goes on! For years, I’ve been saying I need a holster for my scissors for quick draw action. I’ve been wanting to design this utility apron pattern for so long, I’m beyond excited that it’s finally done. It will most certainly become my new uniform. And now, you can can have an adorable utility apron too! Get the PDF pattern here! When I saw these lovely IKEA dishtowels last month, I knew immediately what they were made for. They came home with me and have been waiting patiently until now. I love how all the patterns work together and this windowpane is my absolute favorite. You can mix and match the patterns every which way. Everything about this pattern is meant for sturdiness and use. The apron is two dishtowels thick, as are the pockets. The pockets are stitched through both layers and double stitched at the tops. The waistband is thick and sturdy, with good structure and secure leather ties. One of my favorite parts of the utility apron pattern are the leather accent pockets. These aren’t just meant to be pretty. 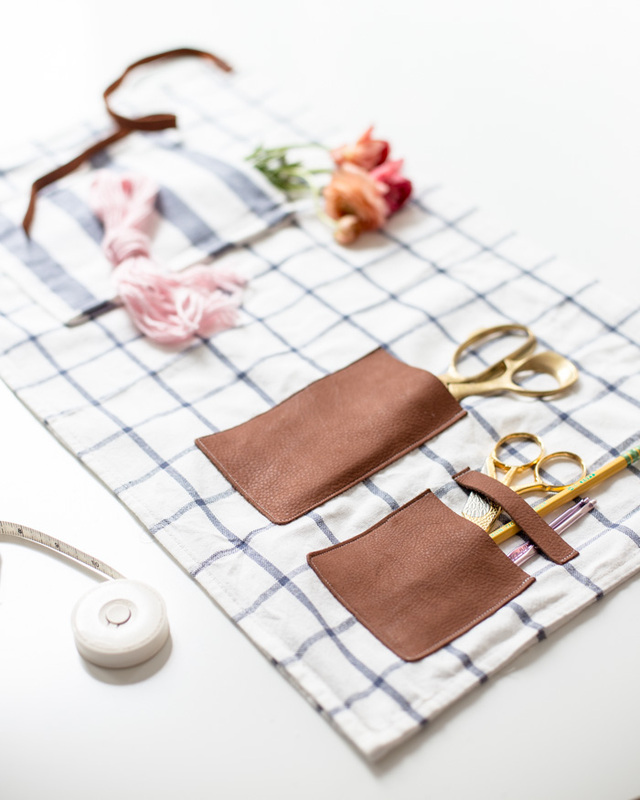 The pockets are designed specifically for rugged use, including the ability hold my heavy Rupalee scissors. Do you think I’ll remember to put them back in my pocket each time? This apron pattern PDF has become a bit of a challenge from my hubby. I was going to provide this pattern as a free tutorial, as I do for so many fun projects. He looked at me and shook his head, “but, you’ve worked so hard on this, you should charge for your design ideas, and to recuperate your time spent.” And, though I think it is a fabulous pattern, you know as well as I do that this is the BIG designing blogger conundrum. Everyone expects everything for free. I don’t know if this pattern will sell on its own, but I would love it if it did. And so, here is my experiment. I’m curious to see how it turns out. If you know me, you know this pattern is high-quality, including a wonderful photographic tutorial with step-by-step how-tos and easy-to-follow directions. So, I’m putting it out there as a paid pattern, with the hope that people will support me and be willing to pay for the quality work. I would love to begin a discussion on this below, so feel free to leave your thoughts in the comments. Or, if you’d like to get straight to work, you can BUY DISHTOWEL UTILITY APRON PATTERN PDF HERE. Your welcome! I’m so glad you love it! I love the pattern! I would buy it but was just wondering if the pattern is a PDF format? Thanks. Thanks so much, Pat! It is a PDF. I could totally use this for my make up brushes. Not what it was intended for, but still very handy. Thanks! Hi Evy! That is a great idea! Makeup brushes would go perfectly in there! I love the leather but is it still washable? Hi Lisa, Good question. I don’t think it is! I use my apron when I’m knitting, crafting, etc, so it doesn’t get that dirty! 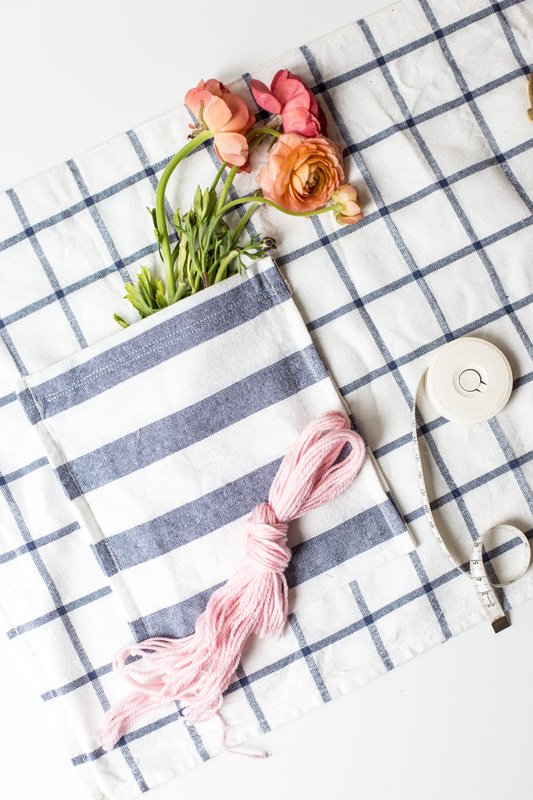 But you could just replace the leather parts with more of the extra dishtowel, and use twill tape for the tie if you want to make it washable!